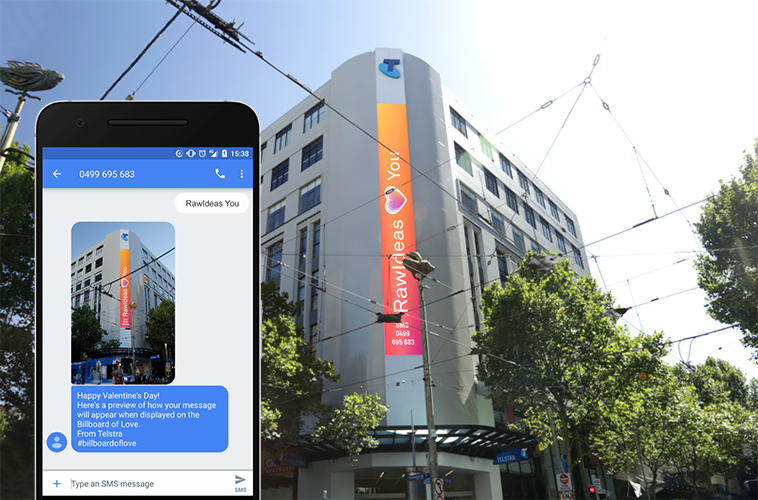 Telstra’s annual Valentine’s Day promotion that gives you the chance to shout your love from the rooftop: you and your love’s name on a 26m tall digital screen outside the Bourke Street Telstra Discovery Store in the centre of Melbourne. The Billboard of Love was developed and continues to be supported by the Raw Ideas team. We handle design, processing, moderation and MMS messaging for the event. Consumers are invited to text in two names separated by a space. The text is processed through automatic and manual moderation. Once approved the message is queued to display on the billboard and the consumer receives an MMS keepsake on their phone for viewing and social sharing. Raw Ideas was approached by Electric Blue Projects to collaborate on a project aiming to engage the audience and create a genuinely authentic supporter experience. We were approached by Cater Care to help migrate their paper-based timesheet process to a streamlined online application, designed from the ground up for their specific needs.